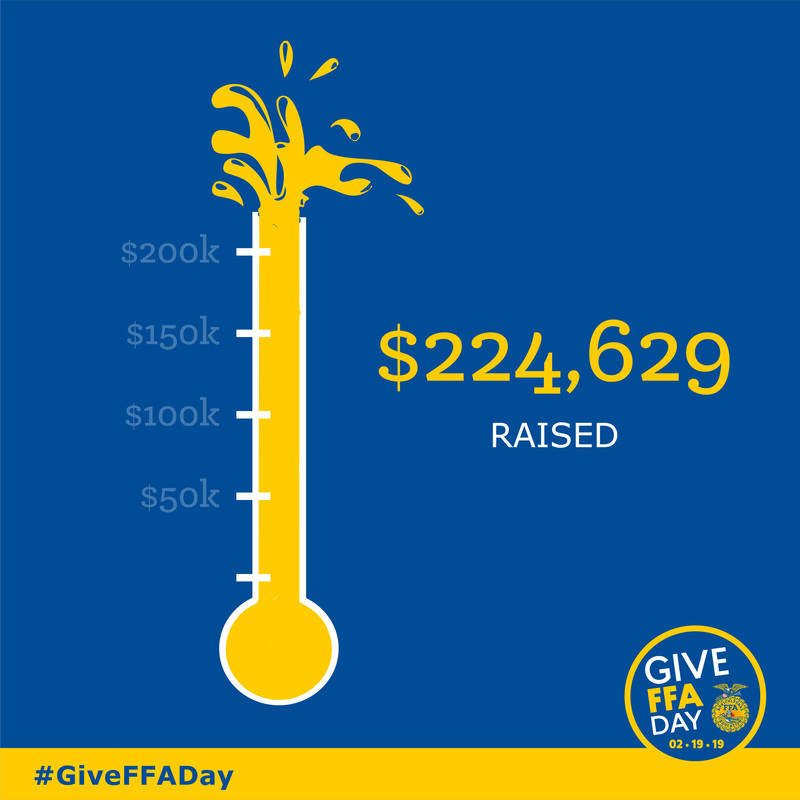 This campaign ended on February 22, 2019, but you can still make a gift to FFA Foundation by clicking here! 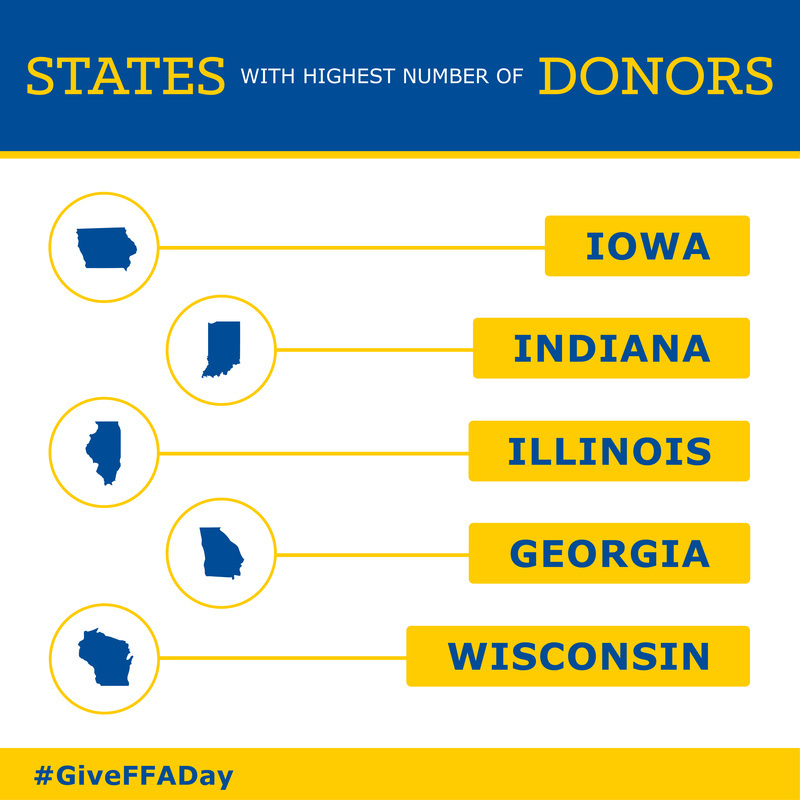 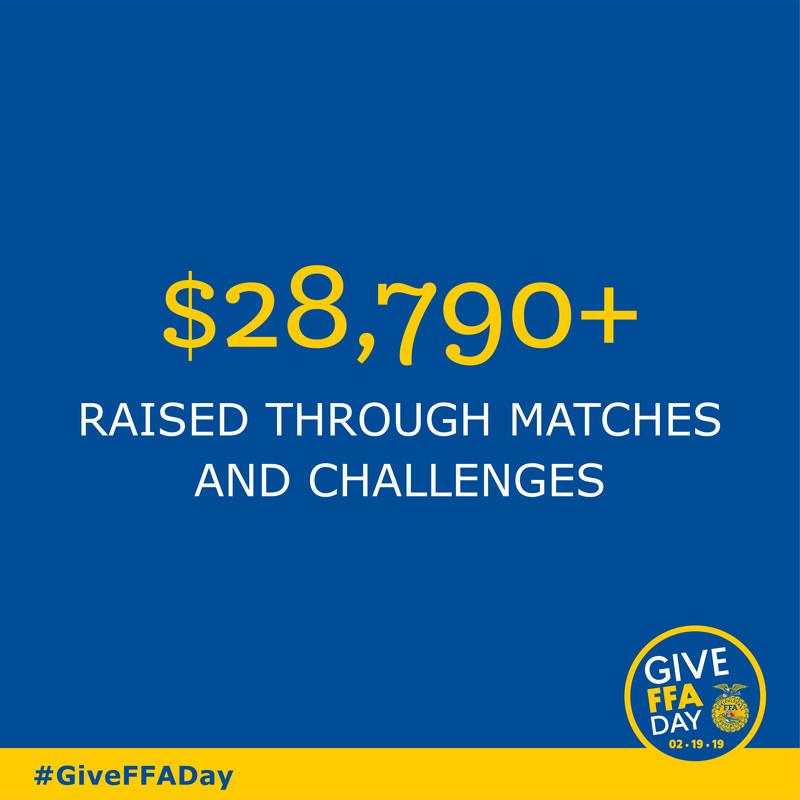 Thank you to all of our Give FFA Day supporters! 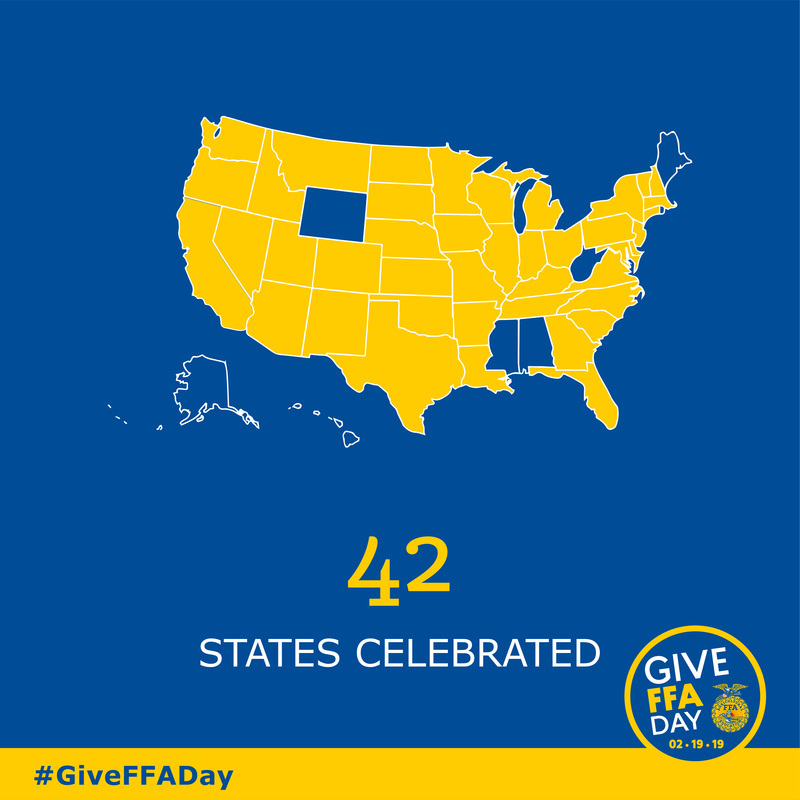 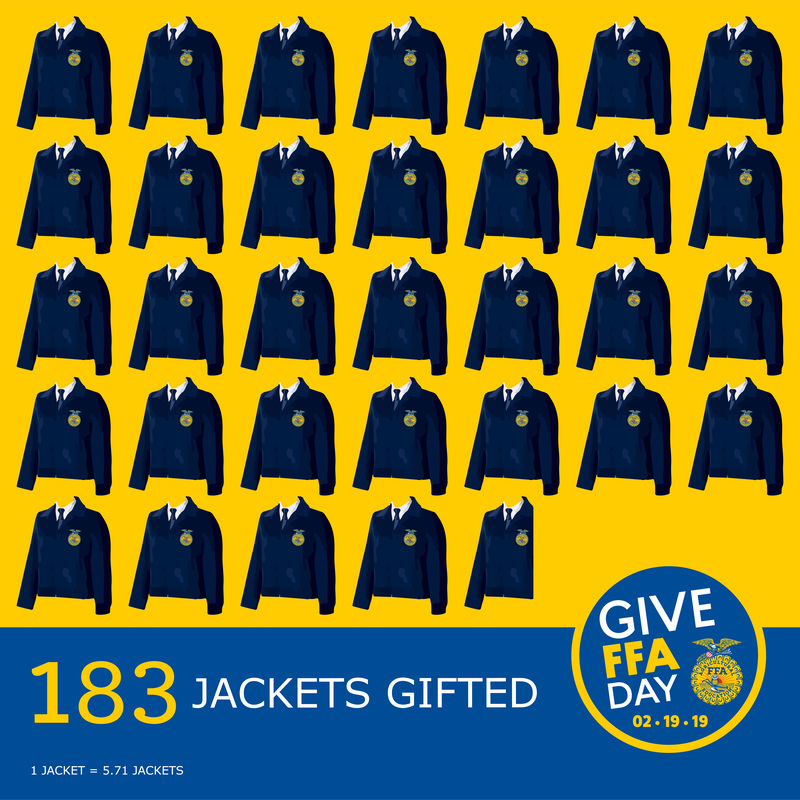 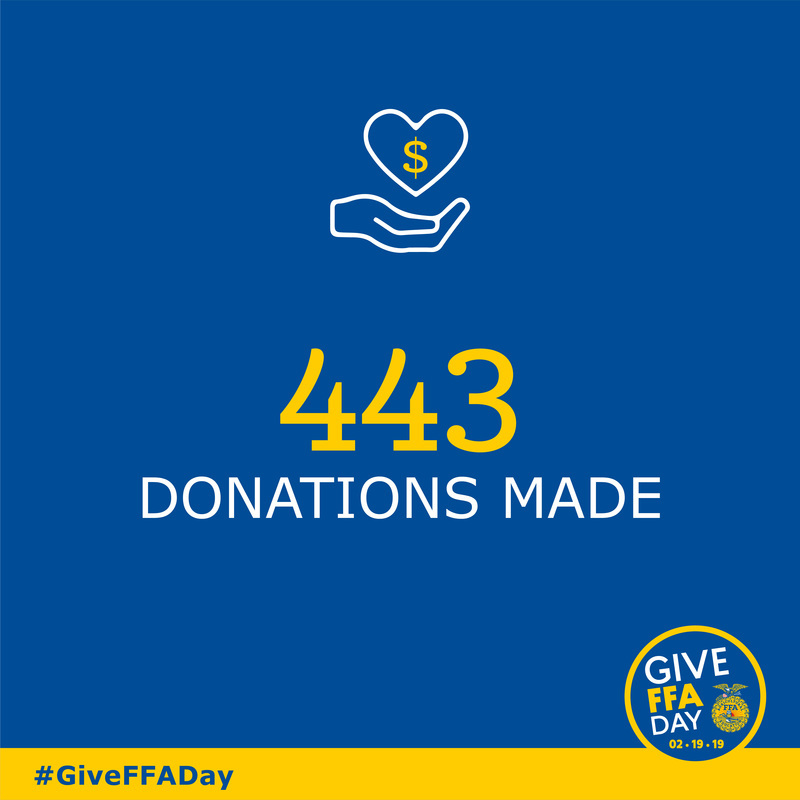 Because of your gifts, shares, likes, videos and all the ways that YOU make FFA possible, National FFA had its most successful day of giving in history.